Do you remember making stuff with clay when you were a kid? 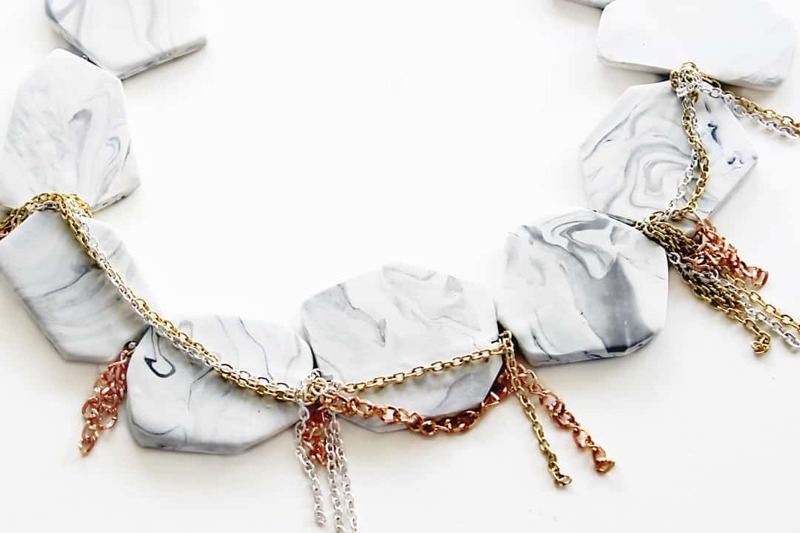 Well this weekend why not have a go at making yourself a gorgeous necklace! 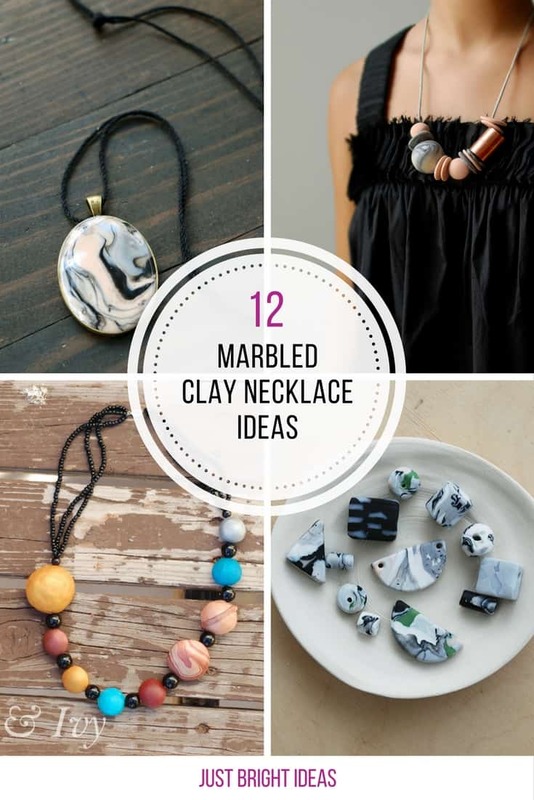 These marbled polymer clay necklace ideas are perfect for making for yourself or as a gift for a loved one. Speaking of which Mother’s Day is just around the corner and we bet mom would love one of these. 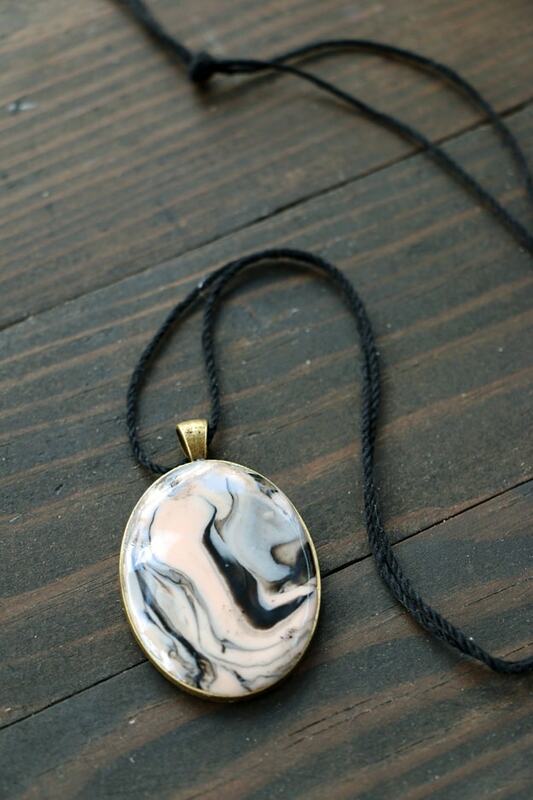 These marbled polymer clay pendants are gorgeous, and they look really expensive too which means they’re perfect for giving as gifts! 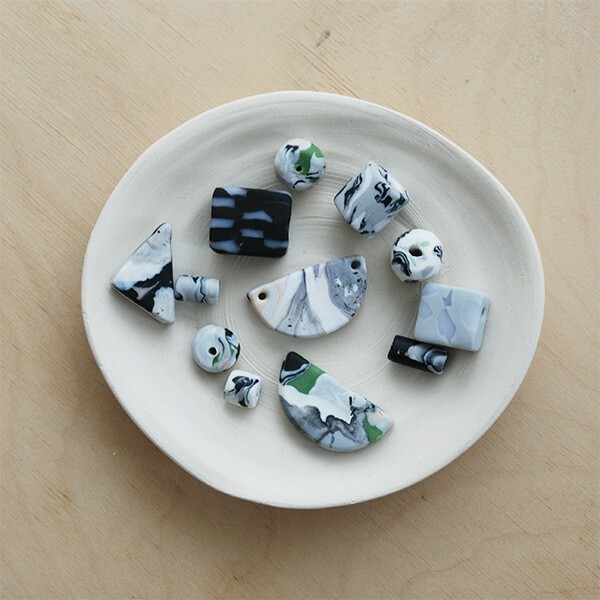 The thing we love most about making necklaces out of polymer clay is that you are not limited to the shape or size of the pendant. 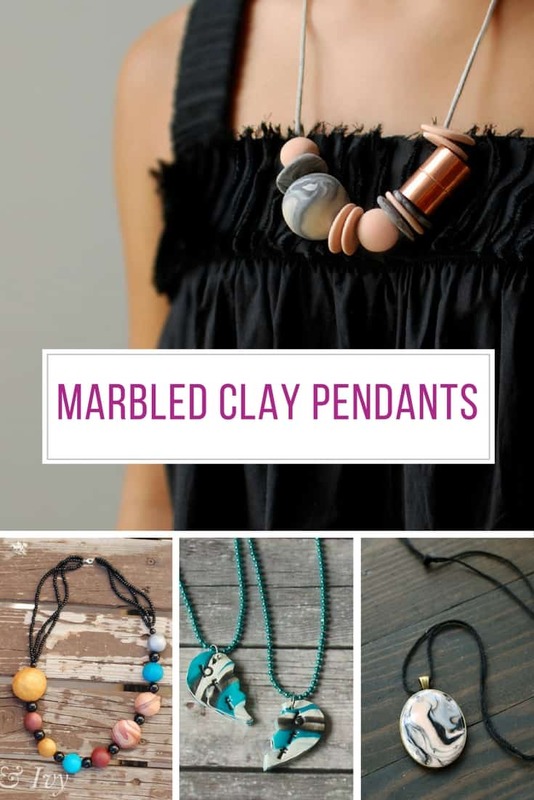 The bevelled oval pendant makes this clay necklace look really stylish, though we think it would look even better on a chain rather than a piece of yarn. 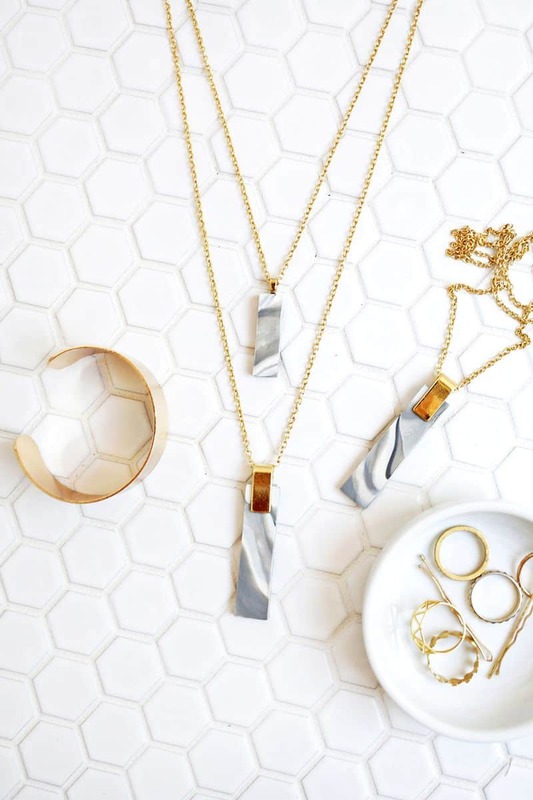 You know how lucky you are to be crafty when you see a necklace you love and can’t afford the $400 price tag, so you go home and make your own version for less than $25!